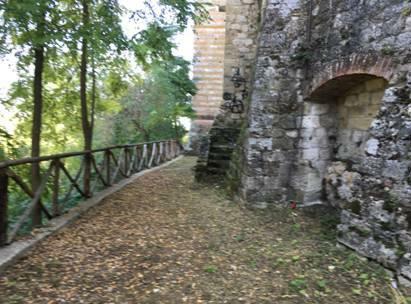 This project involves the clearing and reopening of the north city wall paths around the medieval town of Colle di Val d’Elsa – to enable locals and tourists to walk and enjoy the town’s historic surroundings. Colle Alta, the ancient upper part of the town, perches on a narrow ridge and presents an impressive silhouette from below. It is a picturesque maze of parallel tunnel streets, churches, crypts, crumbling palazzi and shaded squares. The town developed along the river Elsa from the 11th century onwards, building an artificial canal to power various industrial activities, such as wheat mills and paper factories. Today its wealth derives from the production of fine glass and crystal. The top layer of the pathway needs to be completed but that hasn’t stopped locals starting to use the path already! Go and see for yourself! 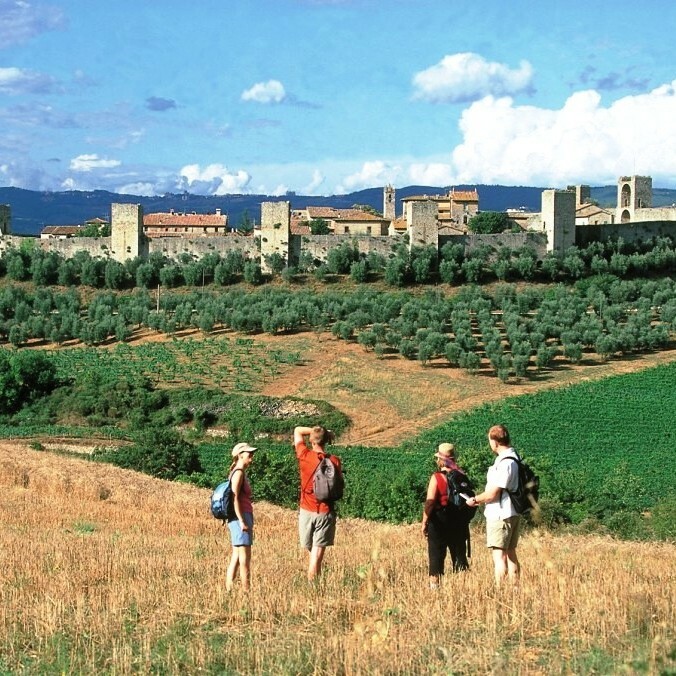 Clients taking ATG’s escorted Tuscan Trail, tours based at Pieve a Castello, or Tuscany & Siena / Tuscan Hills Footloose will be able to view this project. 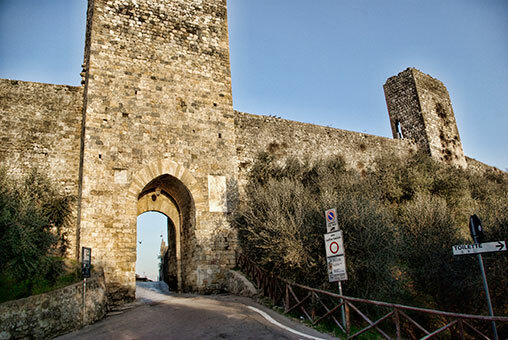 This will form part of a much larger project to restore the 13th century walls around the medieval castle-village of Monteriggioni, which elegantly dominates the surrounding landscape – having changed very little structurally over the centuries. 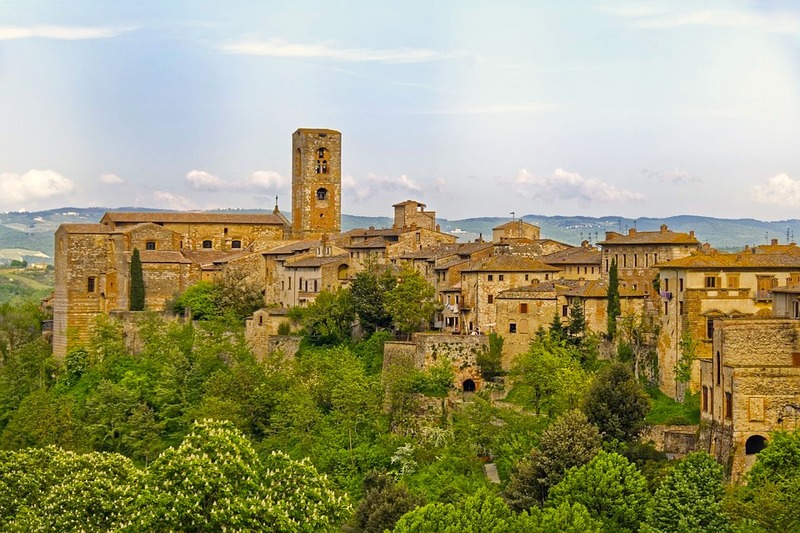 The castle was built by the Sienese between 1213 and 1219 for defensive purposes: its strategic location atop a hill overlooking the Via Cassia (road to Rome) allowed the castle to control the surrounding cities be on the lookout for any armies approaching Siena. The intact fortified wall presents 14 towers along which the guards used to walk and patrol the walls and two gates, one called the Portal Franca or Porta Romea which faces Rome, and the other known as the Porta Fiorentina, which faces toward Florence. 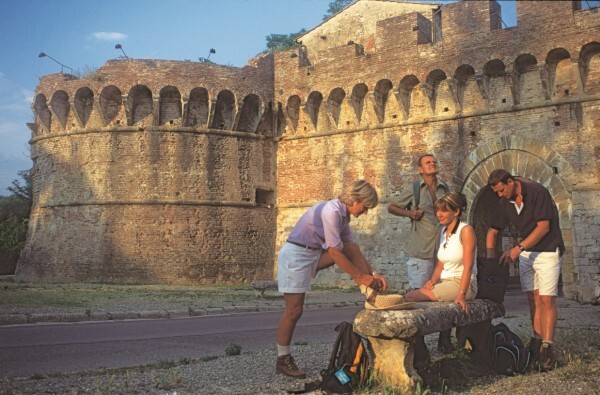 The ATG Trust will contribute to restoration work to the Porta Romea, through which many ATG clients will have walked. Go and see for yourself! Clients taking ATG’s escorted Tuscan Trail, tours based at Pieve a Castello, or Tuscany & Siena / Tuscan Hills Footloose will be able to view this project once restoration work begins. The Trust is always looking for new projects on our trips in which to invest. If you have an idea the Trust would be delighted to hear from you! Contact Jessica Jenkins, Trust Secretary, on (44) 01865 315 613, or jessicaj@atg-oxford.com.